Let’s Get Real conference 2011: How to evaluate success online? 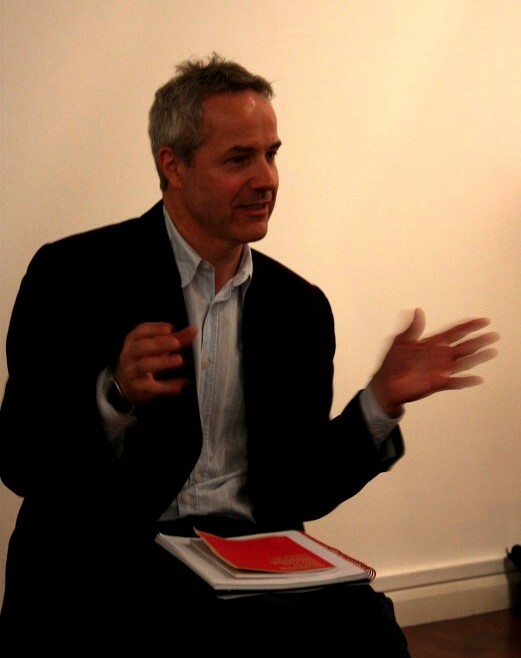 Culture24 Conference: Let’s Get Real at Bristol’s Watershed on September 20 and 21 2011. Do we really know what we are doing online? Does counting the visitors to our websites really tell us anything? Do we need all the social media channels we start? Is there evidence of real engagement happening online? Do we really know what we are trying to achieve and who it is for? 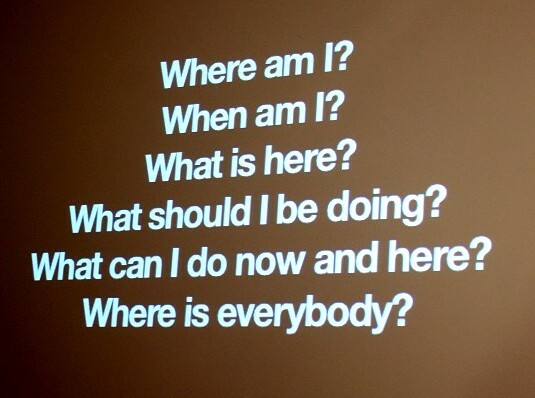 These are difficult questions that everyone developing online services needs to ask themselves. It has almost become a cliché to say that online technologies have touched our lives, changed our behaviour and altered our expectations. The cultural sector is not immune to these changes, but how do we know if we are actually doing well? Come and join Culture24 for some honesty, plain-speaking and troubleshooting. You can listen to great presentations, find out about our latest action research and most importantly join in the workshops, Crit Room, helpdesks and breakout sessions. You will leave with a better understanding of not just what success online might look like, but what it can mean for your organisation. When: Evening of Tuesday September 20, 5pm to 9pm. Then all day on Wednesday September 21, 9am to 6pm. Looking at the range of sectors, specialisms and interests of those who signed up for the day convinced me I had pitched the day right. My idea to split the programme so we’d spend the morning looking at the Arts Council world, and the afternoon exploring commercial collaborations was devised to consider, reflect and challenge the way museums currently work – and hopefully suggest new ways of doing things. Andrew Nairne, Executive Director of Arts Council England and a very articulate and sensitive man, kicked off with a clear understanding of digital issues that came from the heart. I didn’t want him to just give a policy position (although obviously this is important), but to share more of his own thoughts and ideas about the morning theme. He talked about how ACE are framing the user at the heart of all of their thinking, and linked the notion of a ‘user’ to that of a citizen. He talked about how digital solutions – what I might call infrastructure – can be used to support more than one agenda. This idea is not new, but it is progressive … and if ACE could find ways to support this with policy, it could be very powerful. Inevitable, he tracked the framework for all ACE activities to their little strawberry pink book Achieving Great Art for Everyone – if you haven’t read it, you need to. It is very sensible and hard to disagree with. It sets out five clear forward-looking and sensible priorities for next ten years. Andrew talked about the work Estelle Morris is doing to explore the language and scope of this book and how/if it needs to change following the MLA integration. He suggested that with a little liberal interpretation of what ‘art’ might be, that the essence of the book translates well. To this effect, ACE are working on a companion book that will focus on the museums and library worlds more specifically, which will be duck egg blue. A reassuring colour I think. Honor Harger, Director of Lighthouse (an established ACE client and a NPO) shared with us her thinking on digital culture involving a lot more than just technology, such as emotions, concepts, learning and touch. This comment got a lot of tweets and retweets, and I loved it. It’s very simple and human but helps to keep us rooted in concerns beyond just websites and databases. – How can digital accelerate shared missions? – In making strategy, you need to start with the actual mission of the organisation, or start with people – not the digital. – Organisations need a holistic strategy for engagement. – In developing new services there is a need to move beyond the museological perspective (e.g. historical) and tell stories with data, to take down the walls between institutions. – Create spaces for mucking around. – Digital is a mindset that has no walls – and cultural data needs the same priorities. Last speaker of the morning was Kevin Bacon, Digital Development Officer from Brighton Museum & Art Gallery. He shared the museum’s thinking about the ways they have been trying to open up commercial exploitation of its data and assets. “Copyright is a disreputable term,” he said: he likes to refer to it as image supply. He said he felt that the secure copyright model was bust. I cheered in my head. They have established image sales, plus good distribution and customer service, but he pulled out the key role of the curator as a person bringing deep knowledge of a subject to managing data. He talked about the fact that he saw the business model for image sales as being based on the questionable legal status of copyright of photographed images, which as objects are out of copyright. Discuss! After a visit to Brighton Museum and lunch we reconvened for the afternoon. I had brought together four *very* different commercial people who worked at *very* different organizations. What they all had in common, however, were established working partnerships that form a key part of their own business model. In other words, they are all passionate about culture and need to work with cultural organisations in some way to thrive. – Users don’t care about what you care about. – How long will I last? – short-lived can be good. – Finish-ability? Focus and scale your ambition and scope. – The Human factor! – John Peel was the greatest serendipity machine ever. Designers (like him) *love* what they do. They are passionate about it in the same way as curators. He is personally interested in problem solving first and foremost, and he sees problems online everywhere – in interfaces, booking systems, everywhere! He sees most museum sites as focusing internally (inside the museums) with hardly anything looking outside the institution – maybe as much as a 95/5% split. He would like to see this switch, but recognises the need for trust in the process to do this. – Google’s massive work on translating between different languages, and how important that is to culture. – The mass digitisation of books that Google has undertaken. – The new Google Cultural Institute in Paris – opening in 2012. – Google’s work with Culture24 to support the cultural sector in better understanding how to measure success online. Alyssa has watched over Sky Arts’ shift to working very actively with a variety of cultural partners. Although Sky Arts is a subscription service, it is still a seriously impressive, intelligent and unique route to audiences, and as a business they recognise the value of the cultural sector very keenly. – Their 2 million subscriber base. – Their audience development work across their channels. – Their work at the Hay Festival. – Their 3D dance production. – Their new Ignite scheme of commissioning new work for production. – SkyArts sponsorship of Museums at Night. The final discussion brought together all the speakers to talk about collaboration with commercial companies. I titled the session ‘Can you make money and not be evil’ to be deliberately provocative. I wanted to challenge what I often perceive as a negative feeling about working with commercial companies, with muttering of ‘they just want to make money’. Well yes, I say. Of course. But this should not be a problem – and in fact, this is increasingly exactly what cultural organisations are also trying to find ways of doing. My big take-home from the day is how much the cultural and commercial worlds are coming together. You may see this as good or bad, but I feel it is inevitably true. For me, this is one of the last remaining boundaries to shift and integrate, and follows the long line of profound integrations that are already underway between sectors, technologies and media. For further thoughts on the day check out Rhiannon Looseley’s guest post on the Culture24 Museums at Night blog.